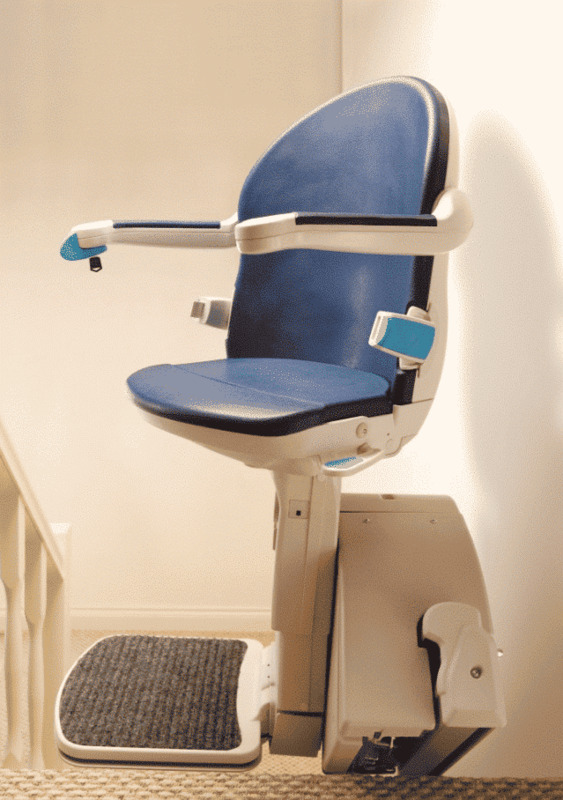 The Handicare 1000 stairlift with Smart Seat is one of the slimmest stairlift tracks around featuring a hidden rack which allows for minimal infringement into the staircase. Whilst being elegant, simple and has a minimal footprint on your staircase the Handicare 1000 stairlift has the heaviest weight capacity in the Handicare stairlift range. The 1000 also has an automatic seat swivel function when arriving at the top of the staircase, the seat automatically pivots towards the landing, so you can get on and off safely. 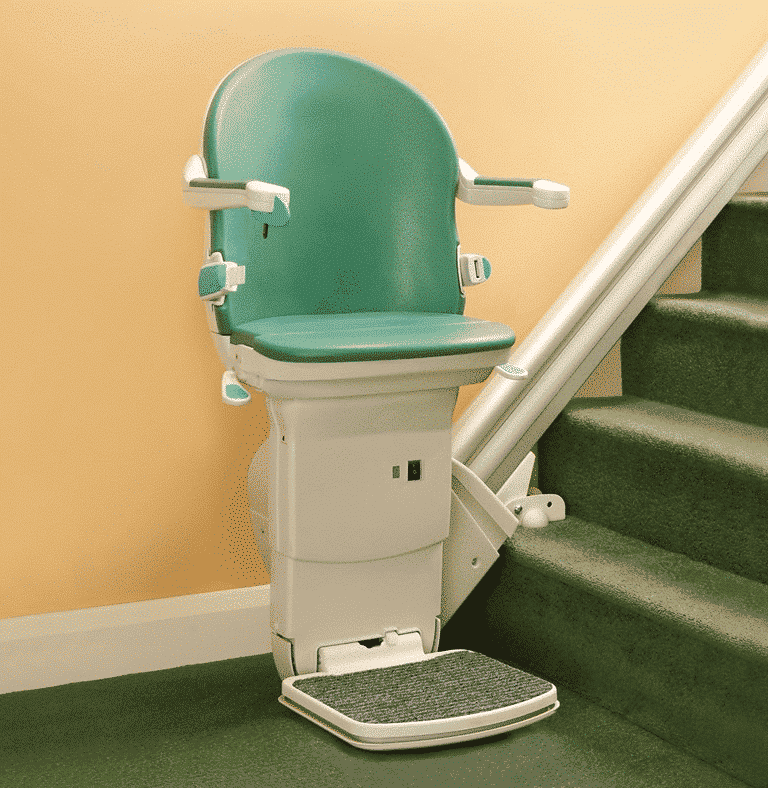 The hidden stairlift track of the Handicare 1000 allows for minimal infringement into the staircase. The hidden aluminium track also has two park points as standard enabling the battery to be charged both at the top and the bottom of the staircase. 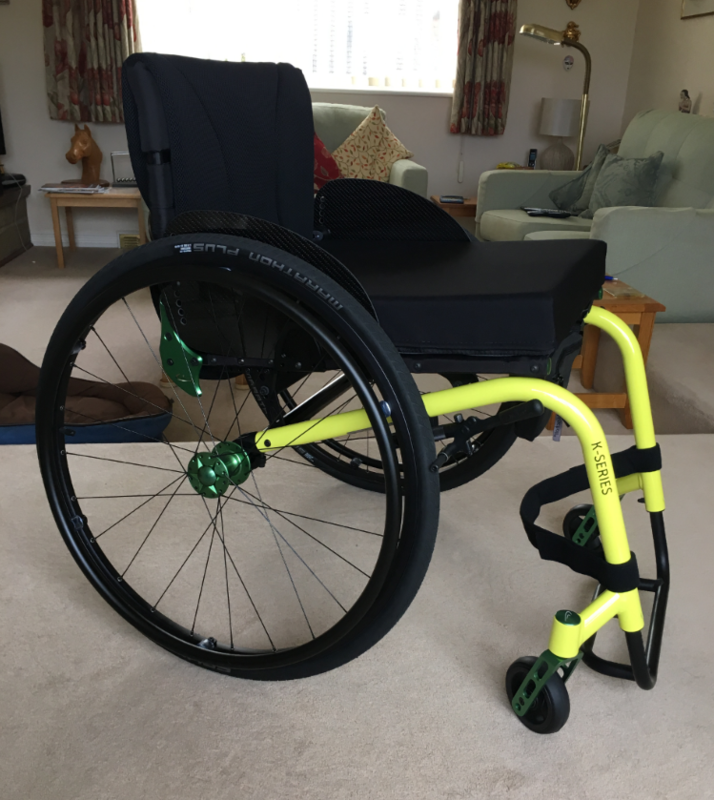 A standard feature of the Handicare 1000 is the automatic folding footrest which automatically folds up reducing the space required when not in use. The Handicare 1000 stairlift is also compatible with the use of a powered hinge to prevent the stairlift from blocking access to doorways or walkways at the bottom of your stairs. Thanks to its many features, the Handicare 1000 is suitable for many needs and requirements. Due to the superior build quality and materials used in making the Handicare 1000, it is able to handle heavier weight capacities. The Handicare 1000 offers 137Kg/21 1/2 St, the 1000XL 160kg/25st an d the XXL stairlift can handle user weights of 200KGS/31 1/2 st. The XL and the XXL also come with additional arm spacers as standard to allow the distance between the arms of the seat to be widened. 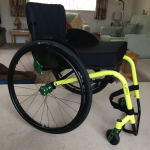 The Seat for the Handicare 1000 comes in no less than six colours to choose from which means you will be able to find a colour that best suits the decor of your home. The Handicares 1000 seat has a grain leather texture, is water resistant and can be cleaned with ease. 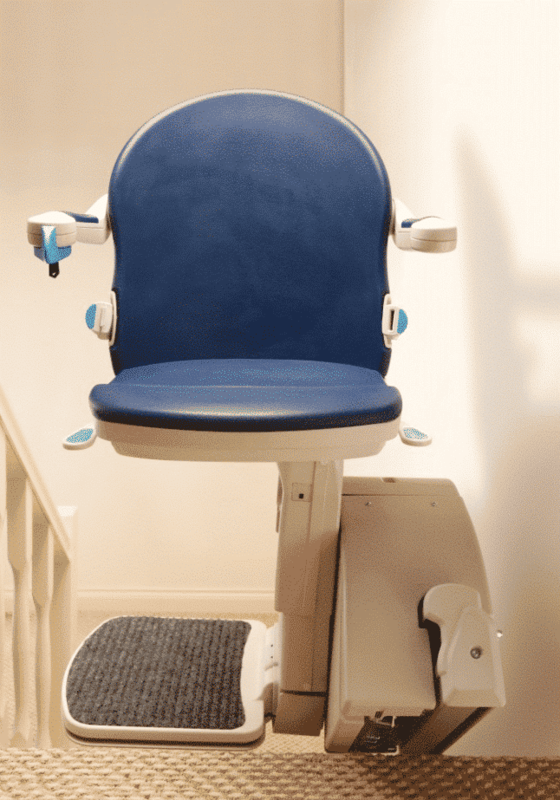 The 1000 stairlift can also be fitted with a perch seat (sit/stand) which makes it ideal for people that have difficulty bending their knees. The seat/standing seat is also available in six colours and with a width of only 60cm, it’s perfect for tight and narrow staircases. 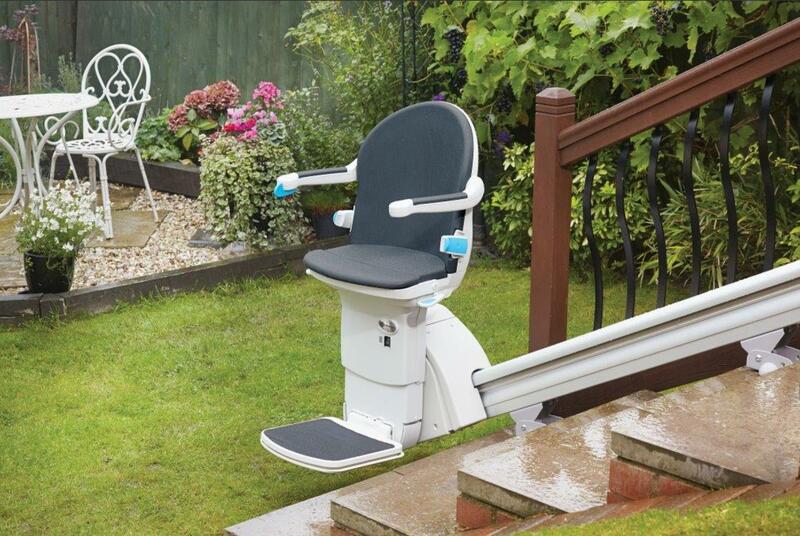 Often overlooked is the need for an outside stairlift. 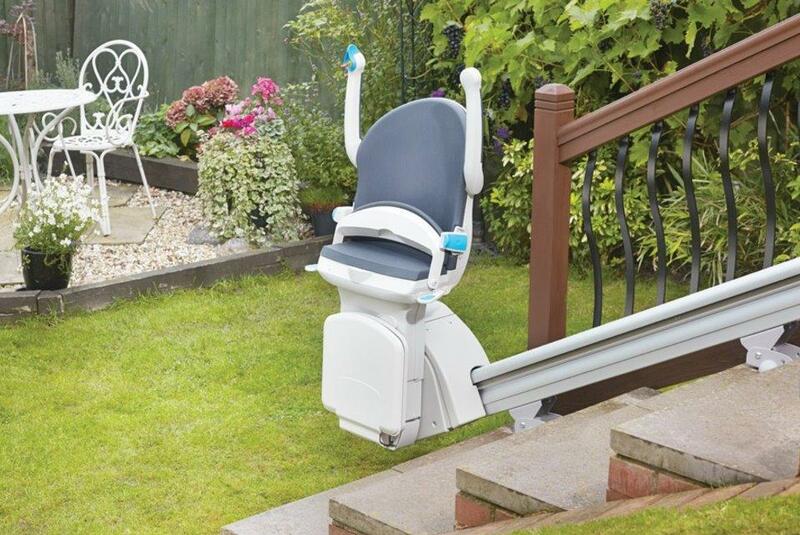 Thankfully the fully waterproofed and weather resistant Handicare Outdoor 1000 is available for people looking for a stairlift for a garden or other outside area. As with all Handicare stairlifts, the Outdoor 1000 has a key to prevent any unauthorised use so it can be left securely outside. The Outdoor 1000 has a UV ‘slate grey’ seat and has a waterproof cover to shield it from the elements and allowing it be always ready to use. Our stairlift installers at Easy Mobility Services have many years experience installing stairlifts in a variety of homes. 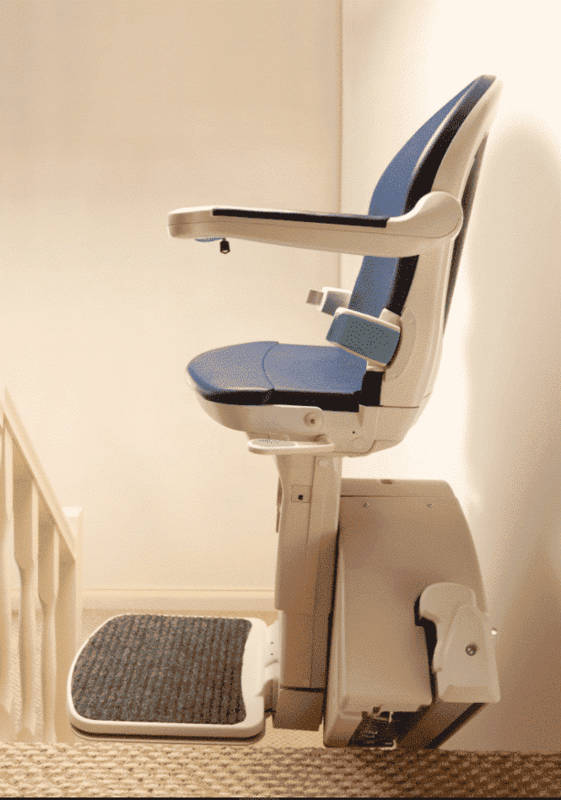 We take pride in exceeding our customers’ expectations when carrying out a stairlift installation. We take the time to ensure our customers are completely happy and confident before we start any installation. We conduct a thorough survey using the latest photographic technology and with the help of Handicares revolutionary ‘Vision App’, our customers can literally see what their stairlift will look like in their home before any work has begun. This allows our customers to show the stairlift to their friends and family and make sure they are totally happy with how the stairlift will look once installed. A typical stairlift installation will only take a few hours and our stairlift installers will ensure your home is left clean and tidy once the work has been completed. 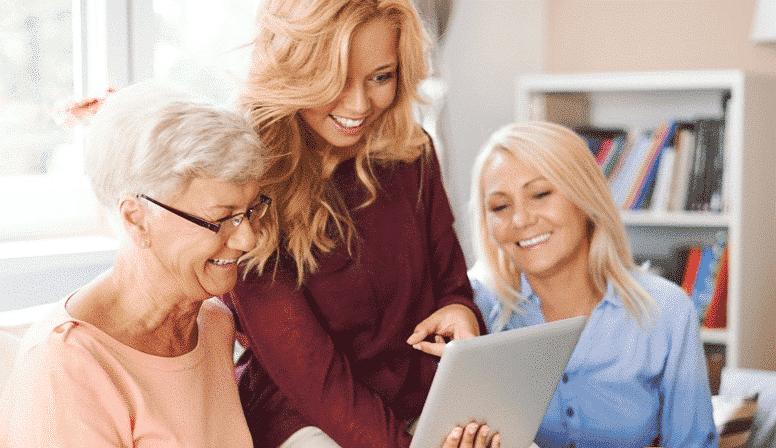 For more information about stairlifts please read our Guide to Stairlifts and simply call us if you have any questions that we have not covered here. If you would like to try out a stairlift yourself we have working stairlifts at our Braintree and Colchester showrooms to try out.